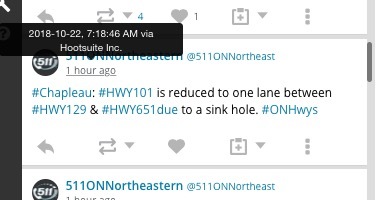 OPP tweeted at 9:50 p.m. October 23rd that Highway 101 had been reopened. 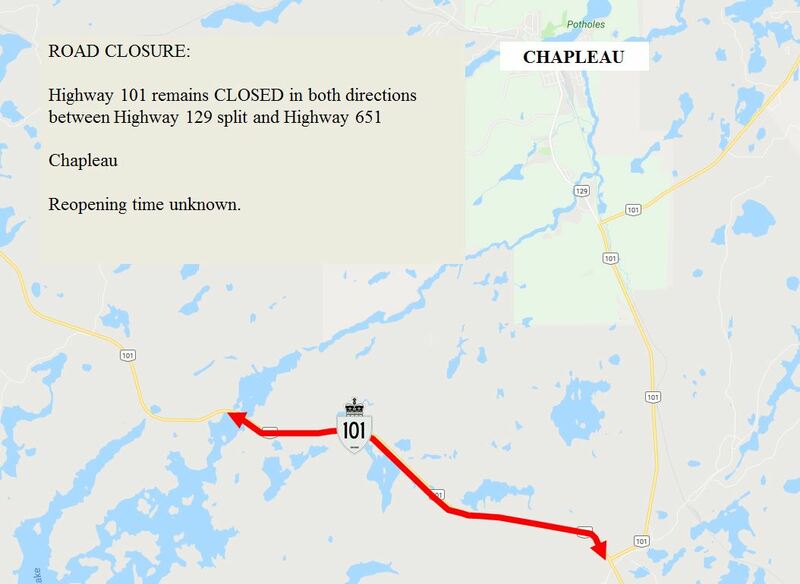 Highway 101 remains closed this morning. 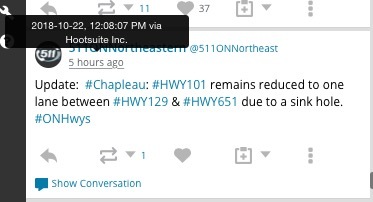 After several confusing tweets from Ontario511 – Hwy 101 remains closed. 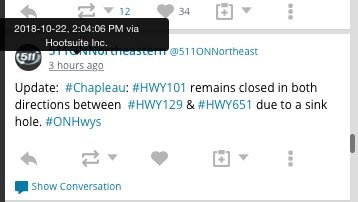 Wawa-news has heard that the highway will remain closed until most likely tomorrow evening. At 7:18 am Hwy 101 (between Jct101/631 & Jct101/129) was opened to one lane. Hwy 101 has been closed between Hwy 129 & Hwy 651. 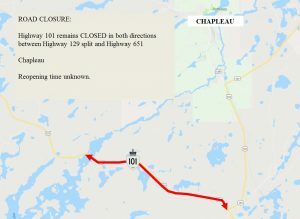 The highway has been closed for emergency repairs. The reopening time is unknown.